StoryWars Classroom provides teachers with the option to have their own private Story Wars where they can invite up to 35 students to join. Stories created on this private space wont show up in Google and will be accessible to only people with the link. Teachers will also be able to track their students writing progress and highlight stories to share with them. 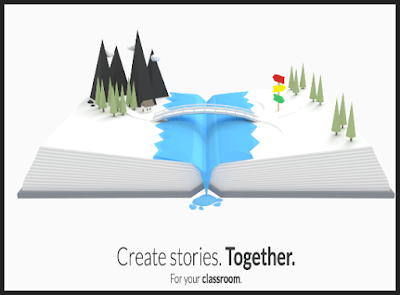 Students can collaborate with each other to write stories to share with the rest of the class. Story Wars also works offline and has an integrated Google Classroom share button so you can easily share your work to Classroom. Give it a try and see if you like it.